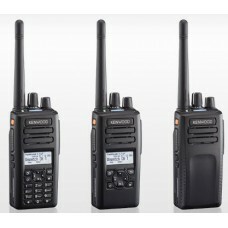 Two-way radio environment of retailers, companies and factories is often mixture of digital and analog FM, or only analog FM and contemplating which digital radio to adopt in the future. 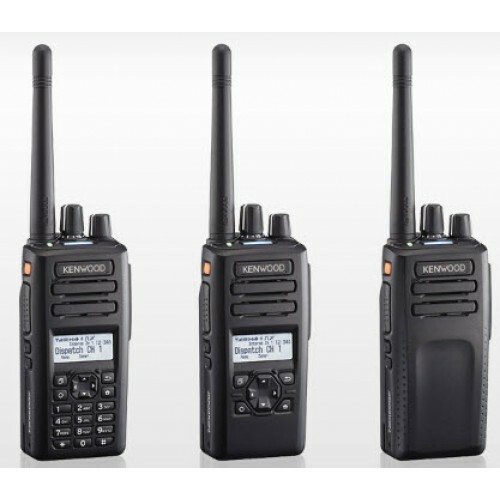 The NX-3000 Series offers future-proof flexibility with support for both NXDN and DMR digital air interfaces as well as FM analog - all in a single radio. A desired digital protocol can be selected at will, giving you the freedom to migrate to digital or expand your digital environment further at your own pace. Also, it offers unique capability to add or delete functions at will. FM analog protocol is offered in 25 kHz* and narrow 12.5 kHz channel spacing. Conventional and LTR systems are offered including QT/DQT, DTMF 2-tone/ 5-tone, MDC-1200 and KENWOOD's own FleetSync®signaling**.